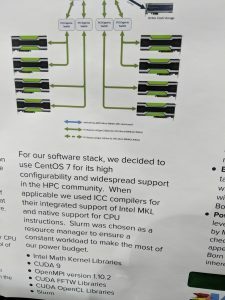 SC17, the largest SuperComputing event in the world, was held in Denver, Colorado, November 12 through 17th. I was lucky enough to attend the event as a representative of the CentOS community. 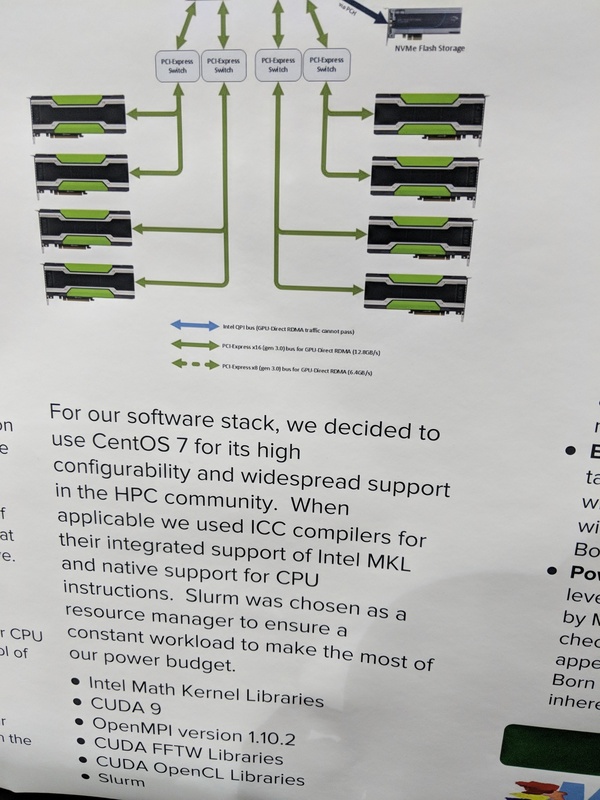 While there, I spoke with dozens of organizations that use CentOS as part of their High Performance Computing (HPC) infrastructure. I also got to talk with all of the student teams participating in the Student Cluster Competition (SCC). The SCC is a high point of these events, for me, as you get to watch young people who are excited about technology and who have the amazing opportunity of getting to work with some of the best supercomputing hardware on the market. 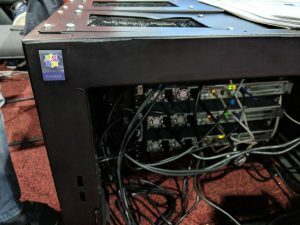 Teams which compete in the competition must create a supercomputer from commercially available hardware (usually sponsored by various hardware vendors) and compete on a variety of standard benchmarks. Clusters must not exceed a specified power consumption (which varies from year to year). And a surprise application is given to the students when the on-site portion of the competition starts, to judge their ability to come up with a solution under pressure. This year in Denver, there were 16 teams participating - 15 college teams, and, for the first time, a high school team made it to the finals. Of those, 12 teams were running CentOS, 1 Fedora, and 3 Ubuntu. The team that won, Nanyang Technological University, Singapore (51.8 Teraflops! ), was, of course, running CentOS. 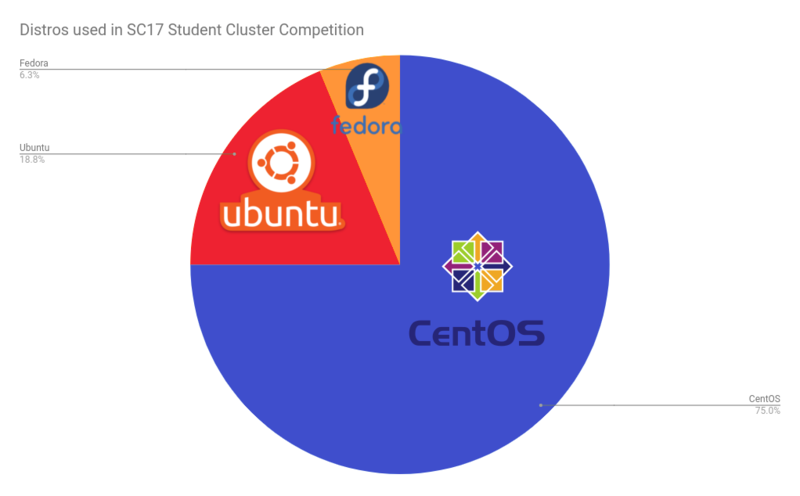 They told me that they chose CentOS because it's pretty much an industry standard, and thus tends to have drivers available more reliably than alternatives. As at the event in Frankfurt, I was able to interview several of the student teams, and you can watch those videos on my YouTube channel. Unfortunately, once again, the audio quality is awful, since supercomputer clusters are really, really loud. If you are part of a team that participated in the SCC, we would love to hear your story. Get in touch via email (rbowen AT Red Hat DOT com) or via our @centosproject account on Twitter. And hopefully we'll see you in Singapore for SC-Asia, or in Frankfurt for ISC High Performance. What is a good PC platform, preferably a laptop, that will support CENTOS?